Fortunately, the multitude of financial incentives available in the Keystone State means that the effective cost of going solar is far lower than what you’ll pay up front. The first major program that you should know about is the solar investment tax credit (ITC). The ITC is a federal program available to everyone in the U.S., and allows you to take a 30 percent tax credit on the cost of your solar system. A tax credit is a dollar-for-dollar reduction in your total income tax liability. The ITC functions, essentially, as a 30 percent discount on your solar system. If your system costs $20,000, for instance, you could take advantage of the ITC to claim a $6,000 credit on your taxes. If you want to avail yourself of the ITC (and you should! ), 2019 is the year to do it. The tax credit will decline to just 26 percent in 2020, then to 22 percent in 2021. After 2021, the ITC will remain available only for commercial and utility projects, which can receive a tax credit of just 10 percent. 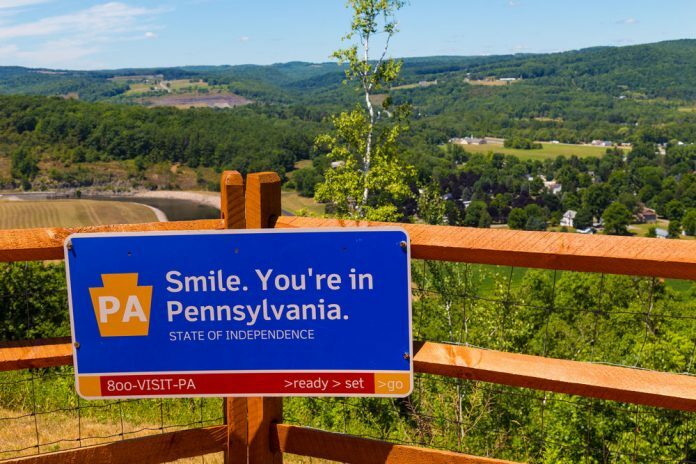 At the state level, Pennsylvania has a number of financial incentives available in 2019. Like most states, Pennsylvania has a net metering program. Net metering is an arrangement in which your local electric utility purchases excess energy produced by your solar system. The energy you don’t need to power your home is shunted back into the grid and distributed to other homes and businesses, essentially turning your home into a miniature electricity generation station. For instance, if you consume $50 worth of energy but produce $40 worth of energy in a given month, you’ll only owe the utility $10. If the amount of energy you produce exceeds the amount of energy you consume, you’ll receive a credit on your bill that will roll over to the next month. Your installer should be able to help you set up a net metering arrangement as you move forward with your installation process. Net metering will require your utility to install a bi-directional meter, allowing you to monitor both the amount of energy you consume from the grid and the amount of energy you contribute. The third major financial incentive program available in Pennsylvania is the solar renewable energy credit (SREC) scheme, sometimes referred to as solar power performance payments or production incentives. For each megawatt-hour of energy you produce, you earn an SREC. You can then sell these SRECs to your electricity distribution company (your electric utility, which owns the grid, pipes, and other infrastructure that brings energy to your home) or electricity generation supplier (the company that actually produces the energy). SREC prices in Pennsylvania have long been based on SREC values across a shared market known as the PJM region that, in addition to Pennsylvania, encompasses Ohio, New Jersey, Maryland, Delaware, West Virginia, and parts of seven other states. As a result, the market is saturated with SRECs and their relative value has declined from $300.00 per megawatt-hour 2010 to less than $5.00 per megawatt-hour today. This year, Pennsylvania lawmakers sought to correct this issue by forbidding out-of-state SREC sellers from selling SRECs in Pennsylvania. But the state’s low renewable energy targets (known formally as alternative energy portfolio standards, or AEPS), which determine how many SRECs utilities are required to purchase, remains as a barrier to SREC price increases. In addition to financial incentives at the state and federal levels, other incentives may be available at the city and county level. The nature of these incentives, and your eligibility for them, varies considerably. The Solarize Philly program in Philadelphia, for instance, helps low- and moderate-income households go solar by connecting them with reputable installers, negotiating contracts, and providing financing. The Solarize Greater Media initiative provides similar services for groups of residents living in and around Media, Pennsylvania. Your installer will be able to apprise you of local financial incentives available in your area in 2019, or you could contact your local energy or housing authority to find out more. On the whole, Pennsylvania’s solar incentives have proven effective. The state boasts some 21,490 installations, and 2019 will surely see that number rise.